HomeOn The SquareBolander or Bust! Nothing gives a room a shot of much needed dignity more than the placing of a finely carved bust or sculpture in a well-lit corner. And while some consider it bad form to commission work based on your own profile (that’s you Mr. Hasselhoff), no one can complain when the piece in question is considered an artistic gem. Which brings us to Leslie Hindman Auctioneers’ sale of the private collection of Lars Bolander, one of Sweden’s top interior designers and a pioneer of Swedish design in the U.S. After many years of having a showroom on West Palm Beach’s “Antique Row,” Mr. Bolander has decided to move on, and is selling his nearby home and personal treasures. Among his collection are some fine crafted sculptures, particularly the busts. Lot 101 is a striking pair of early 20th Century Venetian Terra Cotta Busts, each depicting a turbaned Moor with polychrome decoration. The pair stand 35 inches tall and should bring between $15 & $20,000. Lot 109 (above left) offers something a little more classically European and captures one of Frances most iconic figures. A marble bust, it depicts French queen Marie Antoinette with ribbons and flowers in her hair, the neck that came to know Madame Guillotine all too well, proud and exposed. 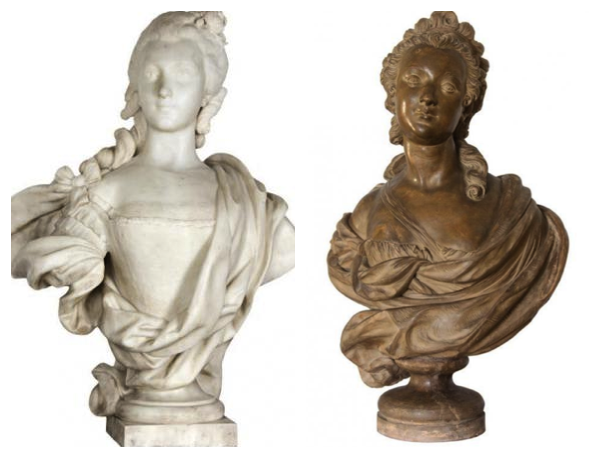 Busts aren’t the only sculptures represented amongst Bolander’s collection, nor is every piece to be sold European. 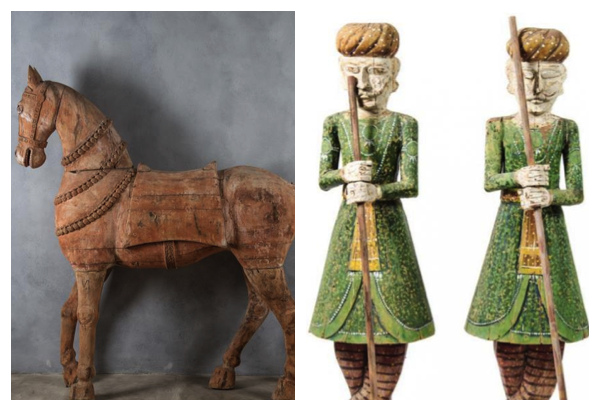 Lot 8, a magnificent carved wooden horse from Burma dating back to the early 20th century, is sure to draw its share of spirited bidding. The sale of Lars Bolander’s personal collection takes place in Saturday, March 21. It includes not just traditional Swedish and European forms but pieces amassed through his travels, with objects found in exotic places with intriguing backgrounds. Here’s your chance to be the next stop on their journey.